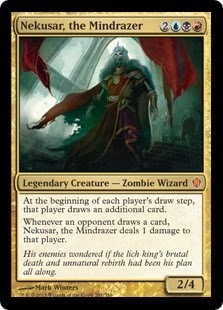 Monday Morning Magic (The Gathering): Commander Monday: Nekusar, "the Taxman"
He will help you, just go pay your taxes. Today I present to you my baby, Nekusar, the Mindrazer (aka "the Taxman"). 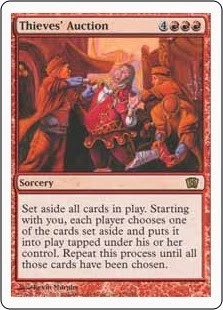 It is a very simple deck, all you have to do is revel as your opponents draw some cards and you cause some chaos. 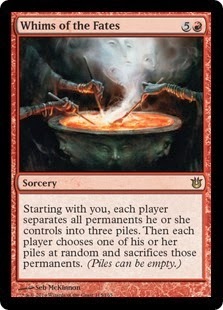 It is a pretty simple idea I am presenting here, let everybody draw cards and eventually all those cards will hurt them. While the commander is the most readily available way for you to achieve this goal you can also get multiple of these triggers stacking and causing pain. 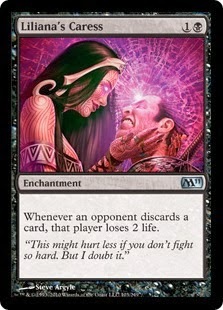 You can then add Liliana's Caress to the the board to take advantage of the multitude of cards that are in your opponents hand. 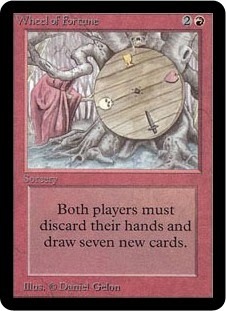 Though this set up might not win you the game outright, you can then add Wheel of Fortune and other effect like it to put the cap on the game. This is not all about winning though as you can see by my platter of wacky red cards that can change the game. All of these cards are to either spice up the game a bit or to level out the game, the true purpose of these cards is to make the deck fun. Fun is what multiplayer Commander is all about, right? 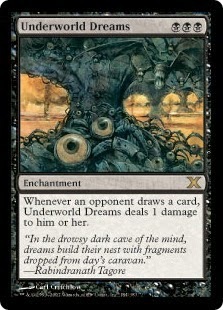 This is a deck all about having fun and it shows what Commander really means to me: everybody having fun. 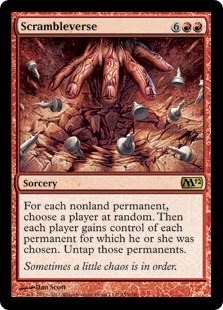 When you play this deck, you smile, you laugh, and you watch everybody react as you are drafting the board or as everybody is scavenging through the endless cards that you gave them. Good luck to you.